One of the most popular trends that is going on right now is people growing their own greens and herbs for cooking. This used to be something that you needed outdoor space for but in the last few years, technology has made it so even someone living in an apartment with limited space can grow his or her own herbs. The trend for growing produce instead of buying it has piggybacked on the push for organic and healthier food as obesity in the United States rises, and since there is nothing better for you than vegetables that you grow yourself, gardening has taken off in popularity. Some of the technology that has made it possible for people to take gardening out of the garden is a method of growing called hydroponics. 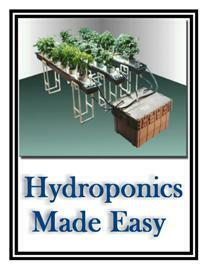 Hydroponics is a way to grow plants using water, hence “hydro,” as a growth medium in place of soil. This makes it possible to grow herbs in your home or apartment throughout the entire year. Year round growth is one of the many benefits of hydroponic herb gardening that will help you achieve a more organic and self sustaining lifestyle. Another one of the benefits that hydroponic herb gardening offers is that this type of growing is accessible for many more people than traditional gardening. Since hydroponic gardens take up much less space than a traditional garden, people who could have never grown plants are able to. This can be a huge benefit to people that live in small apartments or urban areas with only limited space. Because the space is smaller it also reduces the amount of work that has to go into the garden. You will not have to weed the plants that you grow hydroponically, nor will you have to worry about pests that can destroy or eat your herbs. Other benefits of hydroponic herb gardening include, safety from harsh weather conditions, elimination of pesticides and fertilizers, and a closer proximity to your plants. All of these benefits make hydroponic herb gardening a wise choice for people looking to grow their own herbs. The one negative aspect of hydroponic herb gardening is the amount of electricity that it takes to grow plants in this manner. If you want more information on the benefits of hydroponic herb gardening you can find great information online. Start off by doing a search on any search engine and go from there. There are things like growing tips and online shops where you can but everything you need to start your own hydroponic garden.